In the course of a dialogue with Luca Sanzò, Bruno Giuranna president of ESTA International will present the ESTA International Conference to be held in Cremona in April 2019. 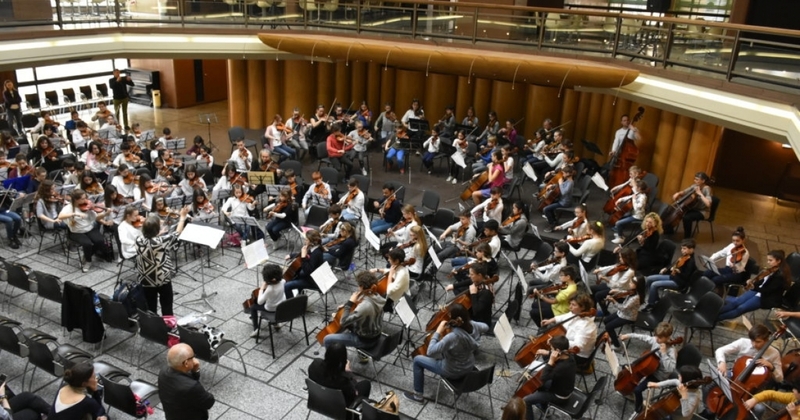 ESTA(European String Teachers Association) will hold its International Conference in Cremona from 26th April to 1st May 2019 under the auspices of the Cremona Town Council and Chamber of Commerce. The theme of the conference will be String Teaching and Inclusion. Participants from all over the world will come to Cremona for 5 packed days of stimulating events including workshops, masterclasses, lectures and concerts by world-renowned teachers and performers, a variety of concerts from students of all levels, exhibitors including violin makers, bow makers, string makers and publishers and a major musical event for all in the main town square.